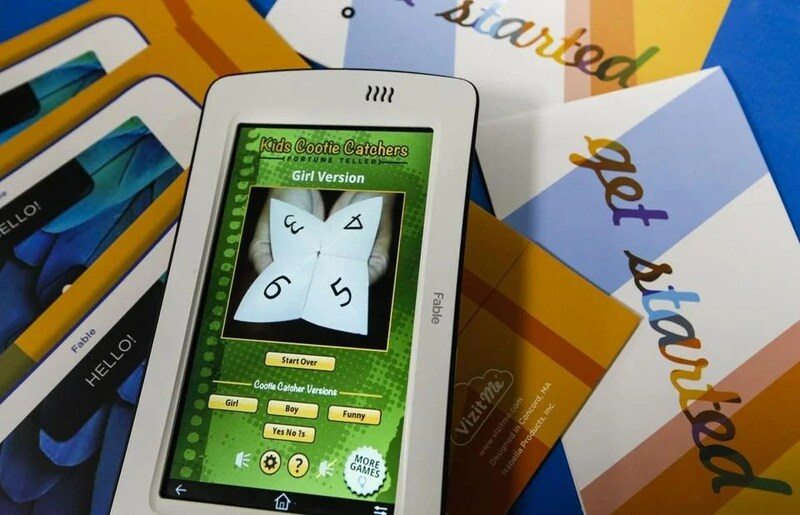 The Fable, scheduled to go on sale in March, is a 7-inch touch-screen tablet that runs a customized, child-friendly version of Google’s Android operating system and comes stuffed with educational apps. Priced at $129 for consumers and $99 for school systems, it’s aimed at children ages 4 to 10. This entry was posted in Gadgets and tagged "The Fable Tablet" by tablettoddlers. Bookmark the permalink.